A new study has found that many fathers are seeking flexibility in their careers in order to spend more time with their children. The study, titled "The New Dad: Exploring Fatherhood within a Career Context," found that a lot of fathers are taking advantage of options and opportunities to cut down on the amount of time they spend working such as time off after the birth of a baby, flexible work schedules and part-time work – all things once believed to be reserved for moms. "A profound shift is taking place with today’s new dads," the study’s co-author, Brad Harrington, told the Miami Herald. 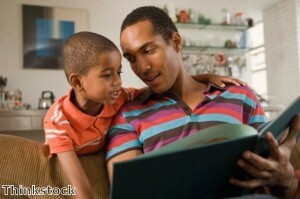 "Men have redefined ‘good father‘ from breadwinner to role model, friend, mentor." While switching to a more flexible schedule may be a bonus for your family, fathers have to deal with their employers to make it happen. Among the parenting advice for making a schedule change at work is to first set up a meeting with your direct manager to discuss the idea. Presenting your plan in the context of how it will benefit the company is recommended as well. Offering a short trial period for any new arrangement will also help ensure all involved parties are happy with it.